Have you ever found yourself watching a film that includes an adorable pet, but heartbroken you can’t cuddle with it in person? You’ve given your neighbour’s cat a scratch, even offered to feed your sister’s hamster — but still, the pain of seeing that precious little personality on screen just can’t be cured. We aren’t here to tell you we are able to do that, but we are here to say that April is National Pet Month! Whether you have a furry friend of your own or admire them from a distance, we’ve put together a list of 7 films starring adorable pets that steal the show, go unrecognised, or may have simply been forgotten about. Whatever the case may be, it’s hard to deny that any of these animals would make an unbeatable companion for life! Good boy alert! Sat in the passenger seat of Dr. Emmet Brown’s DeLorean time machine is his sidekick Einstein, also known throughout the film as ‘Einie’. Einstein loyally assists the ‘Doc’ whenever he can whether it be an assistant for an experiment, standing in as the first ‘person’ to travel through time, or day-to-day companionship. With all of the time these two spend together throughout the course of all three films, they have created a bond that any dog lover would be envious of. Dogs and cats are cute, but after watching Babe it’s hard not to fall in love with a piglet too. After he is won at the county fair, Babe is then destined to live on the farm of Farmer Hoggett and the rest of his barnyard animals such as Ferdinand the duck and Fly the dog. Realizing his dream of being as good of a goat herder as the dogs are, Babe stirs up a mixed reaction on the farm. However, at the end of the film, we all can learn that anyone can be anything they want to be. Stealing the hearts of all pet lovers is this trio of two dogs and a cat embarking on a journey to make it back to their family. The Seavers’ are dropping their pets off at a friend’s house before they leave on vacation when Chance, Sassy, and Shadow begin to worry that they have been left permanently. Determined to make it back home, the three begin their thrilling journey through the wilderness by overcoming major obstacles along the way. This film is sure to make leaving your pet at home for even the smallest of errands unbearable! Another unconventional idea for a house pet is an owl, which makes it all the more desirable! Hedwig the snowy owl flies onto our radar in the first film of the Harry Potter series as an 11th birthday present from Hagrid. She served not only as Harry’s postal service, but also as loyal companion during his time at Hogwarts as a silent and yet effective sense of security. 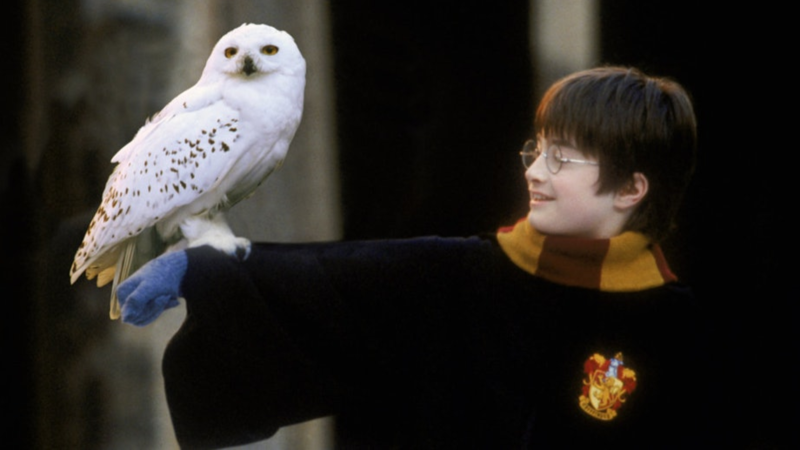 A majestic and dutiful bird, having Hedwig as your pet would be any muggle’s dream come true. Though his situation wasn’t the most ideal, Jonesy (or Jones) the cat was the cuddliest member aboard USCSS Nostromo. 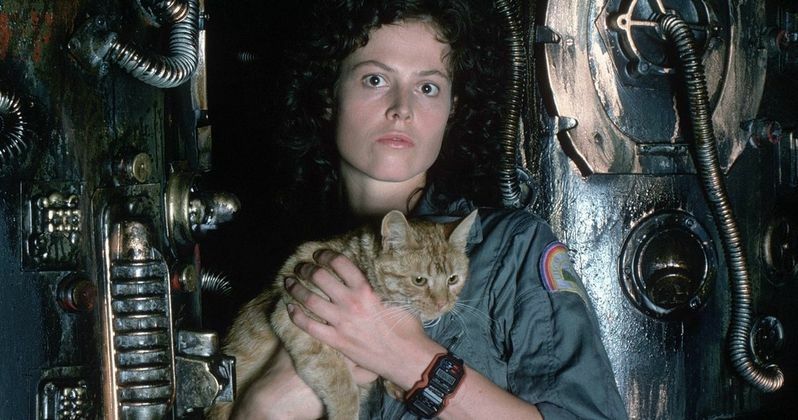 Originally brought for rodent control, Jonesy became a crucial sidekick as Ellen Ripley narrowly defended herself against the Alien, hissing when he felt the predator was approaching. Providing comfort to all of the officers throughout the duration of the film, he’s a lucky survivor as him and Ripley successfully defeat the alien (or so we think), and make their escape back to Earth together. Another pet lacking in screen time is Doris, Alex’s rat in Home Alone 3. When Alex is bed-bound after being diagnosed with the chicken pox, Doris is his loyal companion as he roams around his empty house. But when danger ensues, Doris can be seen scurrying behind Alex as he sets up trap after trap to stop the burglars from breaking into his home. As rats are often shown in a negative light, we feel that Doris redeems their usual stereotype and shows that rats can actually be quite cute! As a film solely about a dog show, it’s hard to narrow it down to just one or two pet stars to covet. That’s why we’re going to say all of them! The dogs starring in this film have their own personalities that, when separated from their ostentatious owners, make them all the more adorable. From a bloodhound named Hubert to a poodle named Butch, dogs are the main topic of discussion throughout the film which is nothing to complain about!